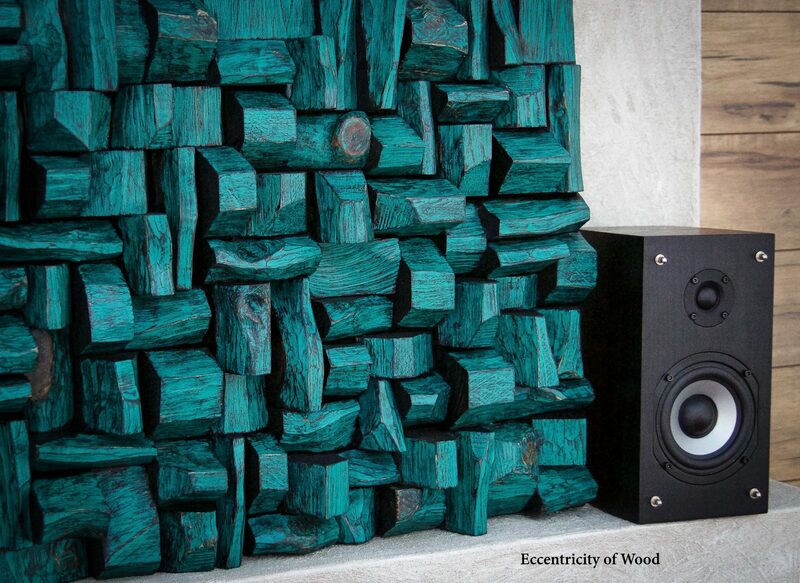 An aesthetically pleasing Wood Art Sound Diffusers created with the idea that acoustics could make both an audible and visual impact on a space. 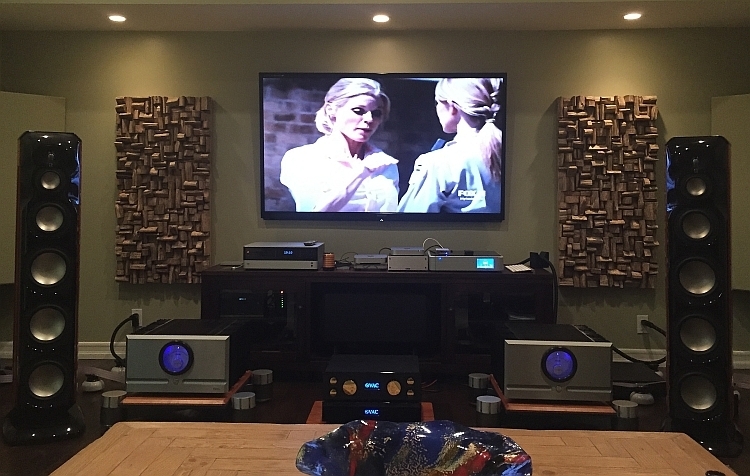 With a little planning and a good sense of the design possibilities, introducing acoustic treatments to your beautifully designed home, restaurant, office, or custom design home theater can become an opportunity for expression. 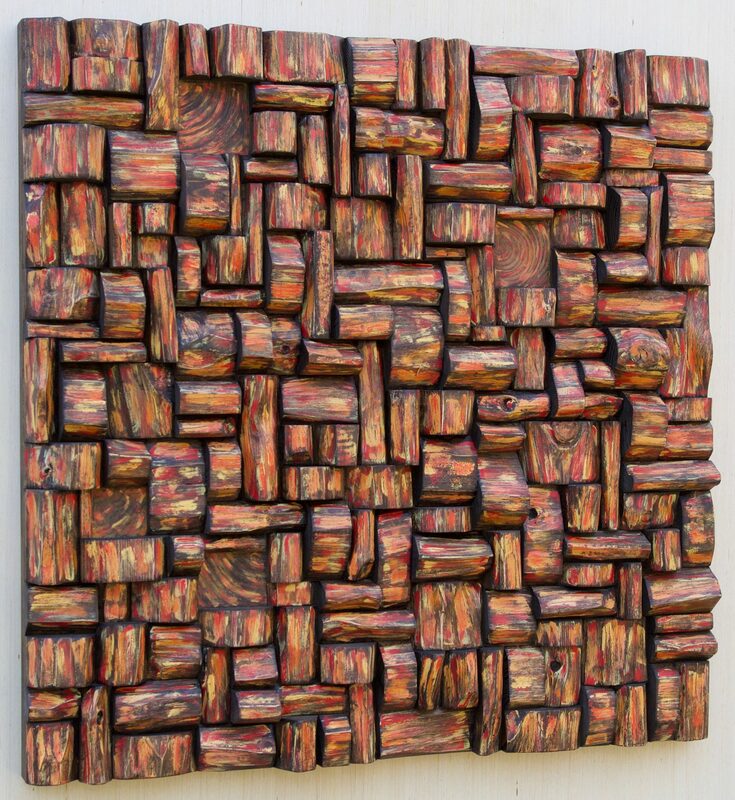 I would like to help you incorporate Wood Art Acoustic Panels into your space that are effective and will also enhance your design, add a bit of nature to your walls. In these days, contemporary interiors filled with glass, stone and concrete usually feature flat surfaces and minimal decorative pieces. 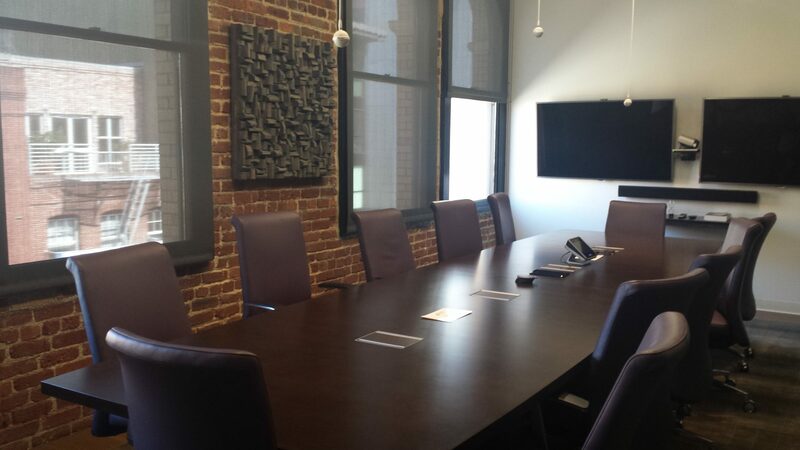 While these spaces look elegant and stylish, their flat surfaces can create a troublesome reflection pattern known as a “flutter echo”. This type of echo can cause a sound to reflect back and forth making speech incomprehensible. 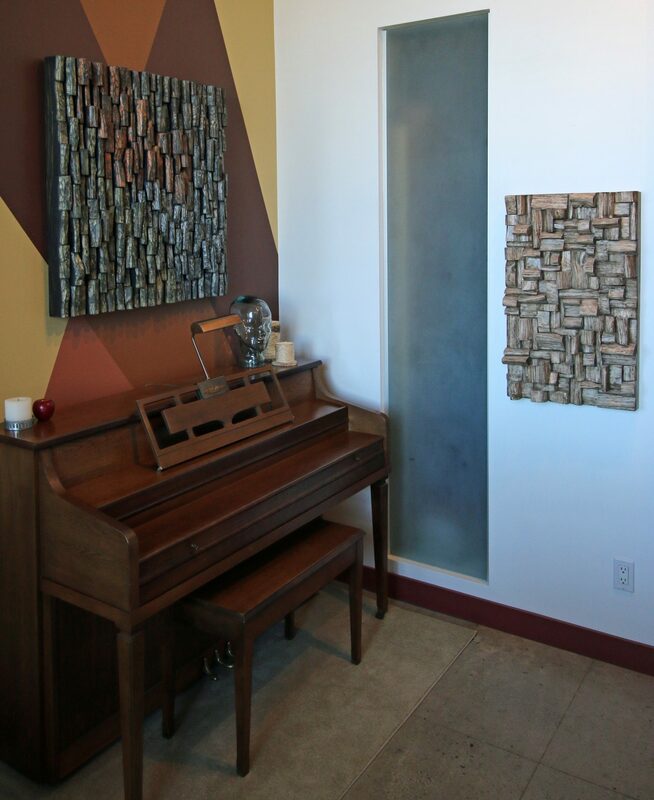 To reduce flutter echo, the addition of wood blocks panels with its uneven surfaces will break up sound reflections and create a nice, smooth, warm, well-balanced sound. 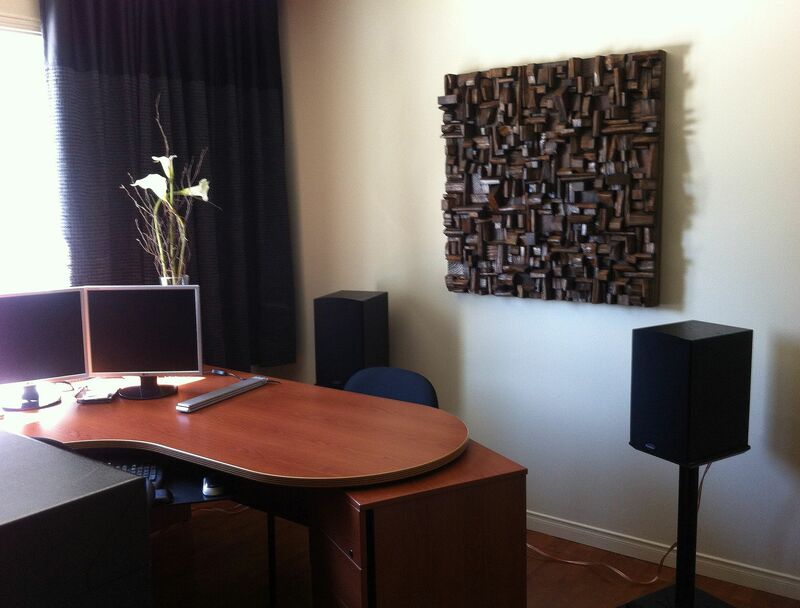 Ultimately improving the quality of the sound, wood art acoustic panels placed on the wall of a room will scatter sound waves in different directions and eliminate echoes and undesirable sound. 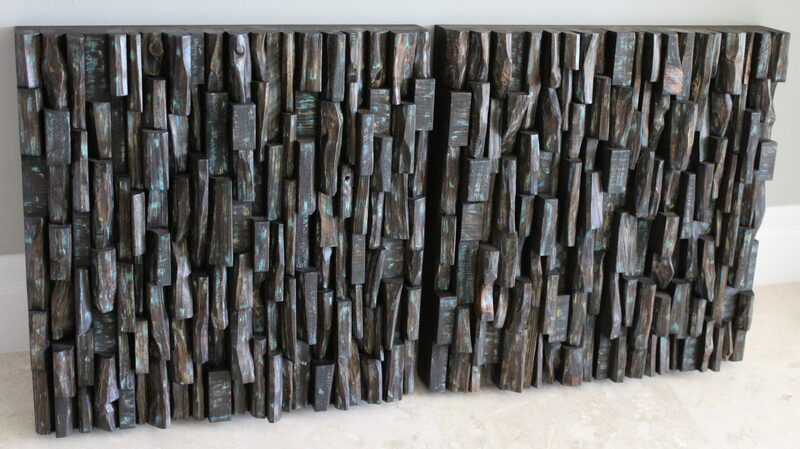 And above all will bring a new intricate texture into your space and take it to a whole new level! 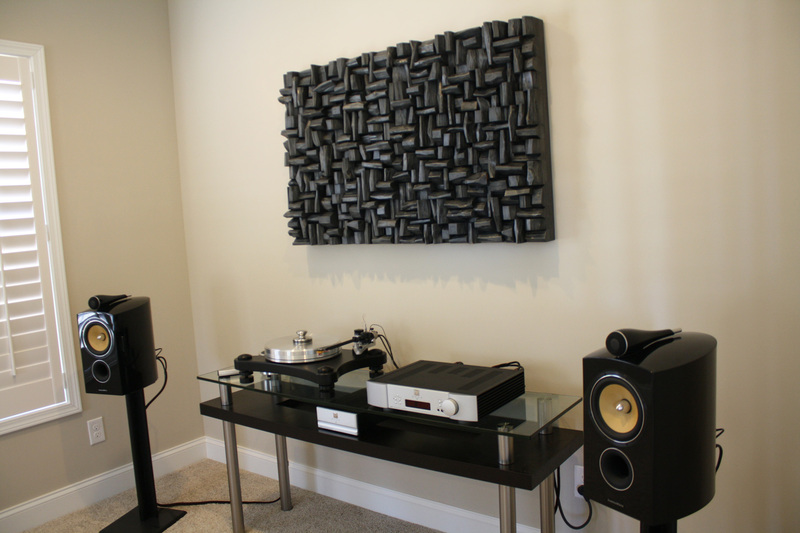 The ultimate home theater experience begins with the audio-visual electronics, but it should end with a small investment to take advantage of the incredible power of wood sound diffusers. 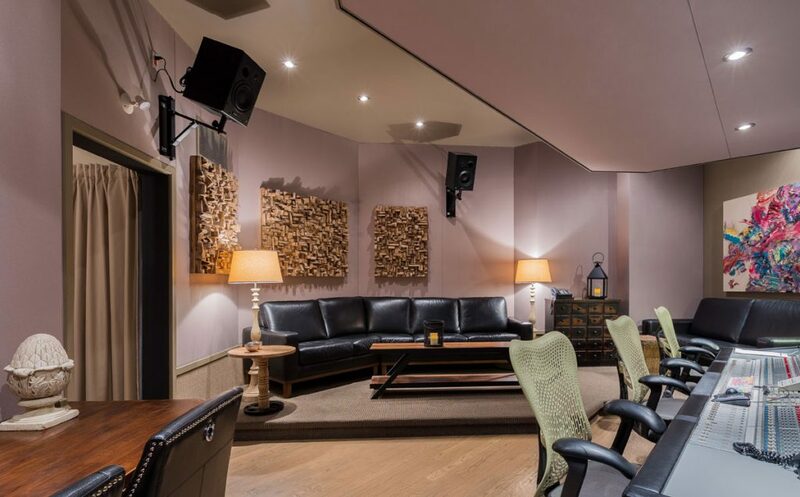 Your speakers will sound better, surround sound will feel more alive, and the subtleties of the film soundtrack will stand out like never before. 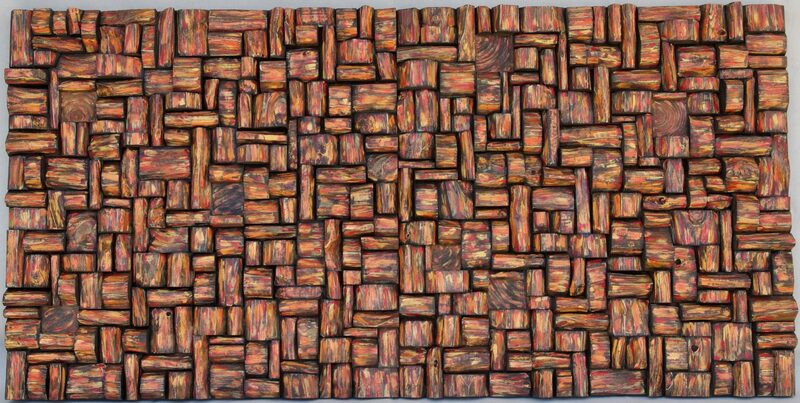 My works can be described as wood sound diffusers with a quasi-random distribution of wells and multiple depths. 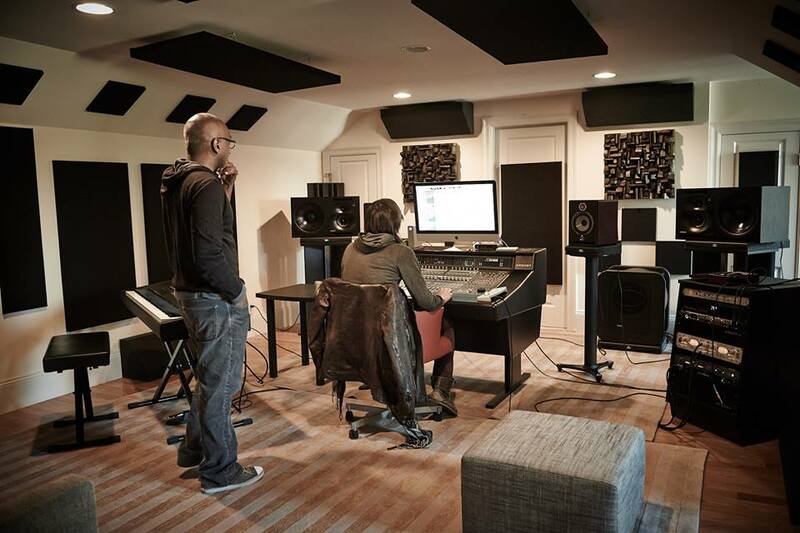 It’s specifically designed and created to scatter or disperse acoustic energy throughout a given space. 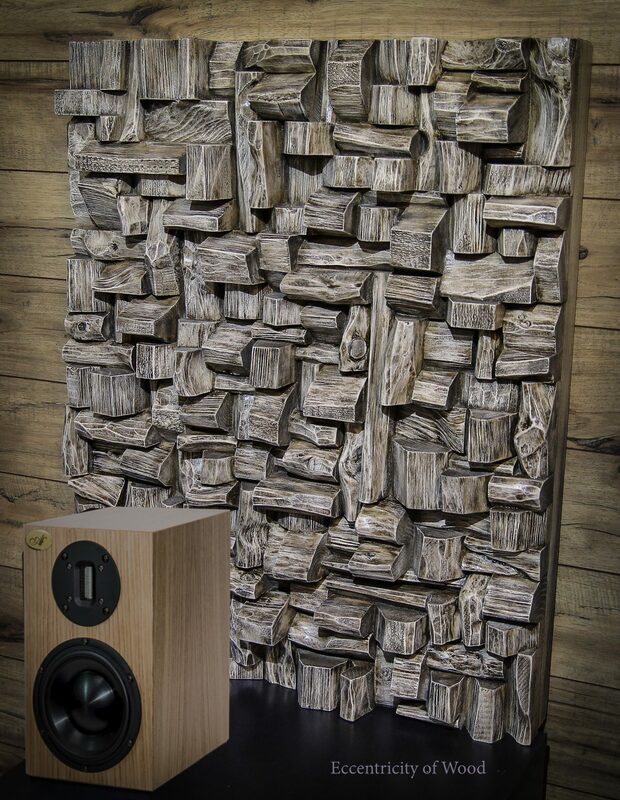 The multiple facets and angles of wooden blocks, assembled in one unique sculpture redirects and redistributes sound waves throughout the room, helping to eliminate hot-spots and dead-spots while maintaining a true “live” sound. Every single piece of wood is hand selected for its character, carefully shaped, carved and sanded to smooth touch to achieve a very unique and organic look. When the entire structure is assembled, it’s been stained to preserve the beauty of the wood, painted to give a piece an aesthetic meaning and fine finishing is applied after all. All wood in these pieces has been heat treated for stabilization and to kill any organisms. All panels are supported with 2” back frame and heavy duty hanging hardware are installed. Environmentally Mindful. Designing with natural wood not only creates timelessly beautiful and inviting spaces, it is also an environmentally responsible choice. All wood for my works were already used before. I hope this is my small contribution to green building. Rather than cutting down trees to get the needed material, reusing wood is just as good if not better. 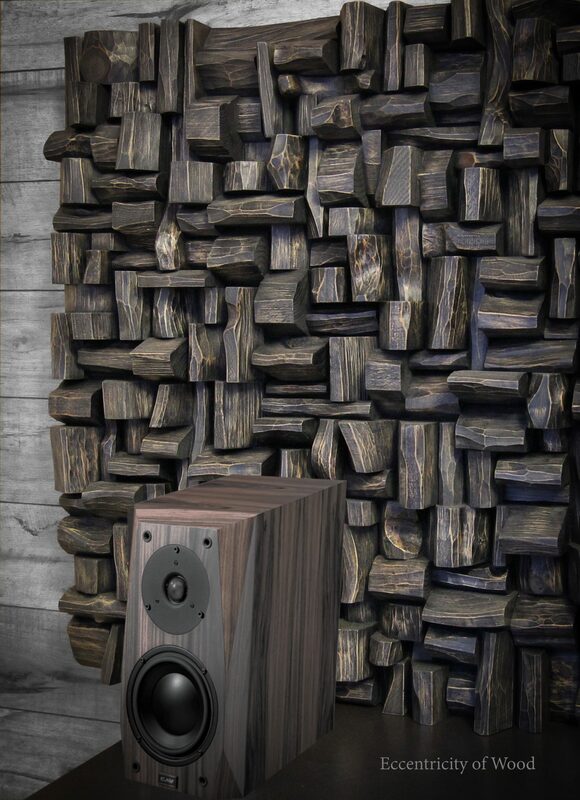 Design with the warmth, elegance and beauty of natural wood, and with the added benefit of acoustic diffusion. Imagine your interior environment enhanced with the power and beauty of nature inspired art. 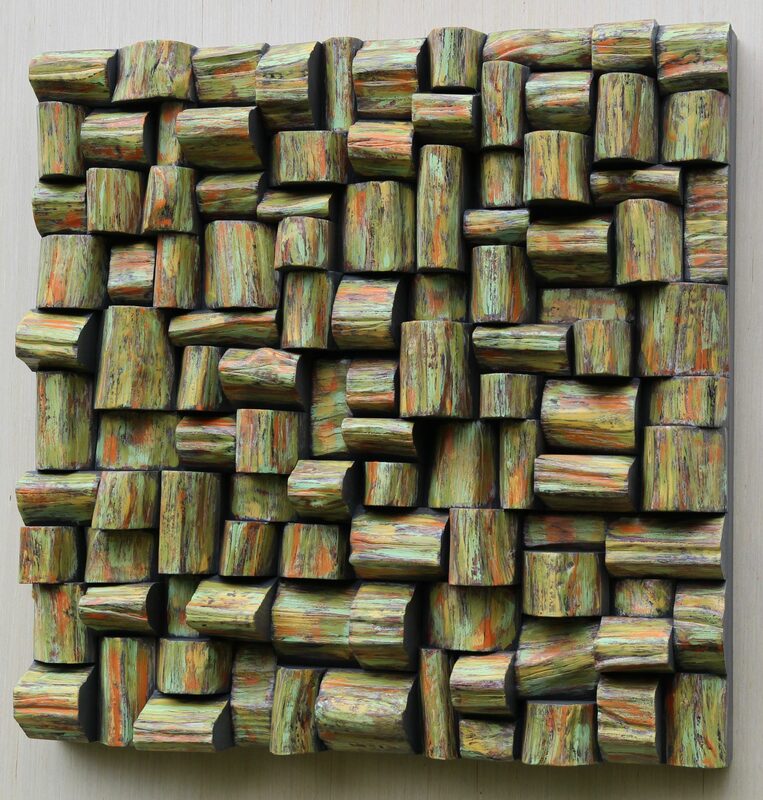 Unique wood wall sculpture will set a ton, create an atmosphere, reflect a business aspiration and create a sense of corporate identity in the workplace. 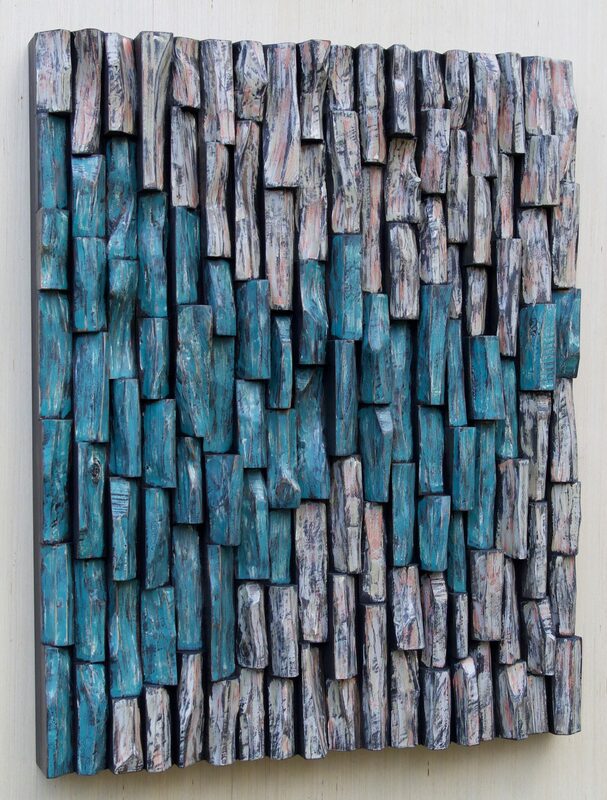 Whether you are looking for something exceptional to make a truly original artistic statement in your home or you are looking for that wow factor for any urban space—I am delighted to create something very unique and outstanding just for you. I know, that making an original art order online is a bit of leap of faith, it’s a confidence and a trust put in me, which I take very seriously. Most of my work is done by custom commissions and thanks to the power of the internet it’s sold and shipped all over the world. So I would be happy to create the right piece of art for your space! Custom orders can be made in different styles, sizes and colours. Try to use this calculator to find first reflection places in your room where the panels were located and it works very well, thank you Ukrainians. Hi where can I find a price list? Hi, I’m interested in Wood Accoustic panel. Kindly provide the price list. Thank you.